ELIZABETH CITY, NC – Since the release of the updated Dodge Charger last year, the “big bodied” cars have been picking up popularity, and that includes the all-new 2015 Chrysler 300. Chrysler dares to shock the auto industry and just looking at the new 300, one can definitely see the appeal. The 2015 300 has a sort of stubby, feisty look that is uniquely admired and sought after. The front and rear portions of the body don’t hang past the wheels very far, which is the same feature that makes many BMWs look so good. With a bigger grille and a number of different styling upgrades, the 300 is finally bringing the “wow” factor like it did back in ’05. One of the major upgrades, not necessarily to the physical look of the car, is the Mobile Internet connection. The car is a big, moving Wi-Fi hotspot, as are most of the vehicles in the GM lineup. And not just slow moving, this Internet connection is said to move quicker than most cellular Wi-Fi service, think of all the work that could be done! Chrysler dares to shock the auto industry and this 363-horsepower, 5.7-liter Hemi V8 sedan is a luxurious ode to the dying breed of the full-size sedan. 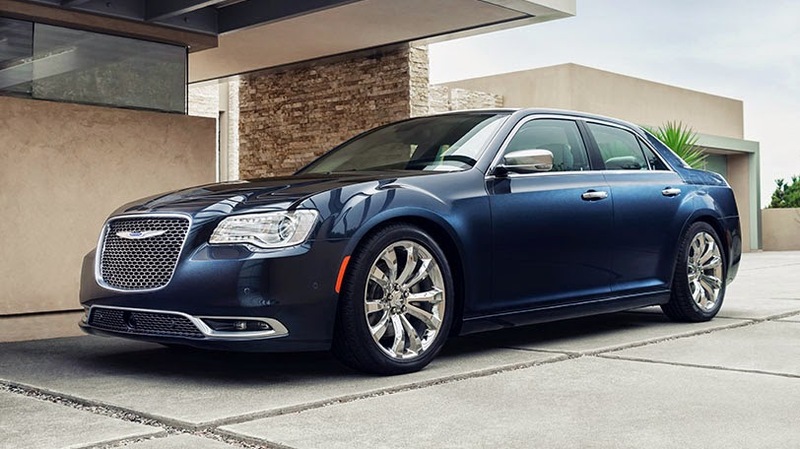 With superb handling and a build like nothing else on the market, the 2015 Chrysler 300 will continue to succeed in a class where many have tried and failed.